I torture tested these hand pruners for a full season in my 10 acre garden before I gave my approval; now I am hooked. 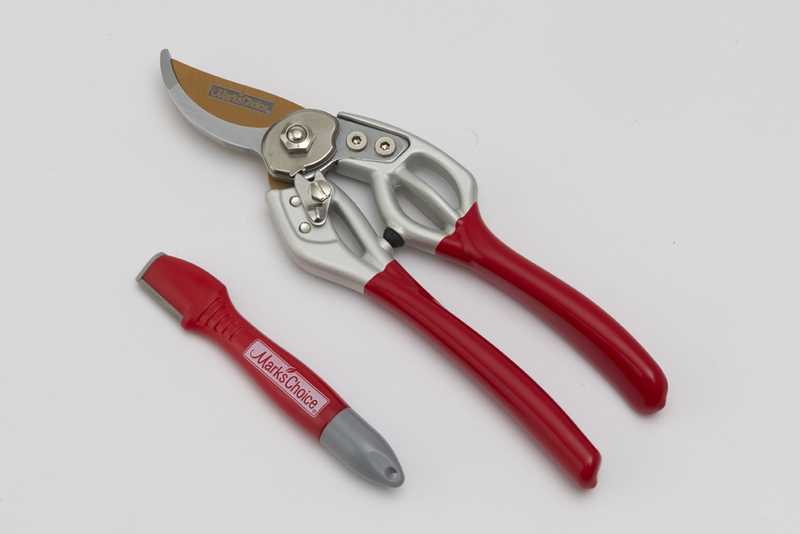 Even better than the last incarnation of Mark’s Choice hand pruners, this product is superior to any pair that I have ever used. 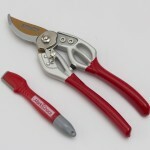 I use less effort in my wrist due to the non-stick coating on the blade, which is made of super hard, high carbon steel to keep an edge; the grip is comfortable in my hand for long stretches; the aluminum construction is lightweight; and the blade sharpener means that I will never have to use a dull pair of hand pruners. The sharpener includes a dabber of oil to lubricate the joint. Incredible!